Sturdy Grinding & Machining offers a great deal of defect-free bar grinding experience. 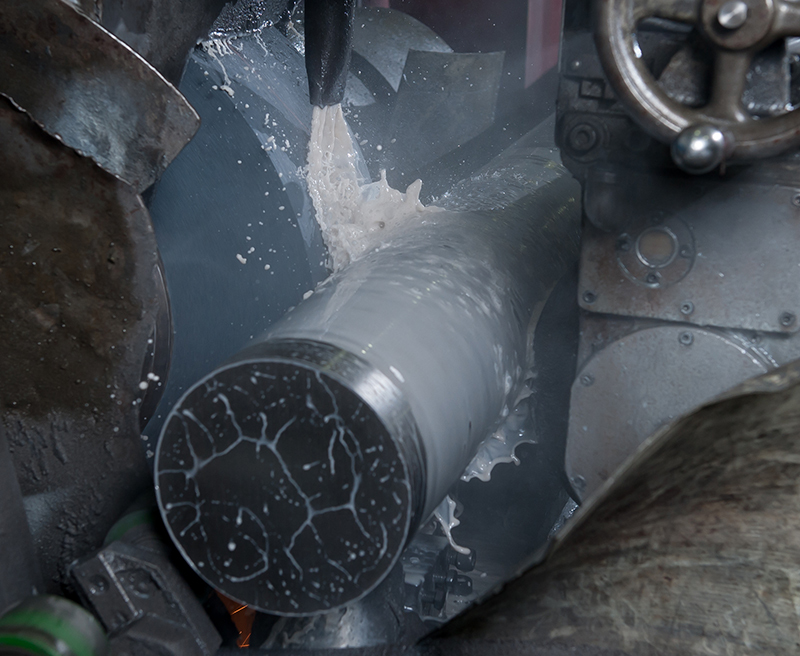 We can grind bars and tubes as large as 11” in diameter and as long as 40’ in virtually all metals used in modern manufacturing. In addition, we can supply heat treated rolls and shafting. Similar, to through-feed grinding, bar grinding is a type of centerless grinding in which the bar passes through the machine. The bar rests on a fixed blade and is spun by a regulating wheel. As that occurs, an abrasive wheel grinds the work piece. Long bars ground in this fashion are supported by rollers on both ends of the machine. Sturdy Grinding has been in the bar grinding business for 30 years and has the machinery, capabilities and equipment to handle all our customers bar grinding needs. Bar grinding is a specialized field that takes a experience and a skilled hand to do well. It is our longevity in the industry and competent operators that set us apart from the competition. 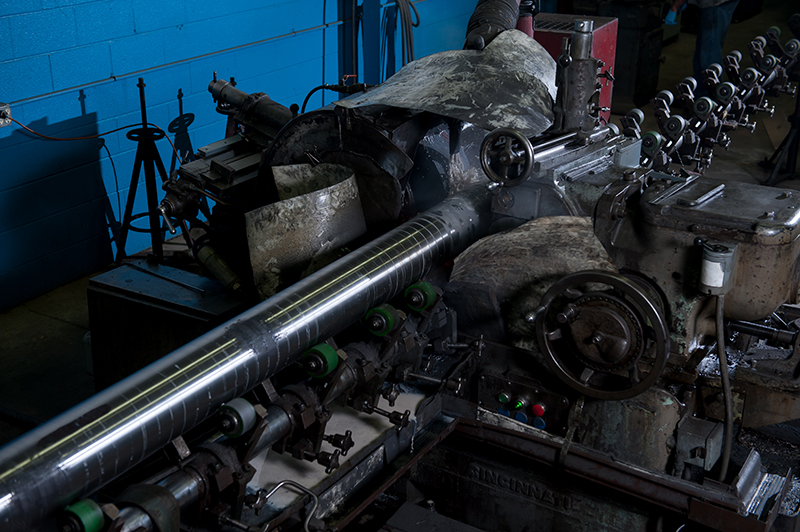 In addition to our skilled operators, the management team at Sturdy Grinding has a great deal of experience quoting and process planning for long bar and tube grinding work. Contact Sturdy Grinding early in your process planning; we can put our experience to use by helping you plan the most cost effective process for your project. Whether you are looking for a new supplier, or interested in mastering a new trade, contact us today! Need a custom part? We can do that. 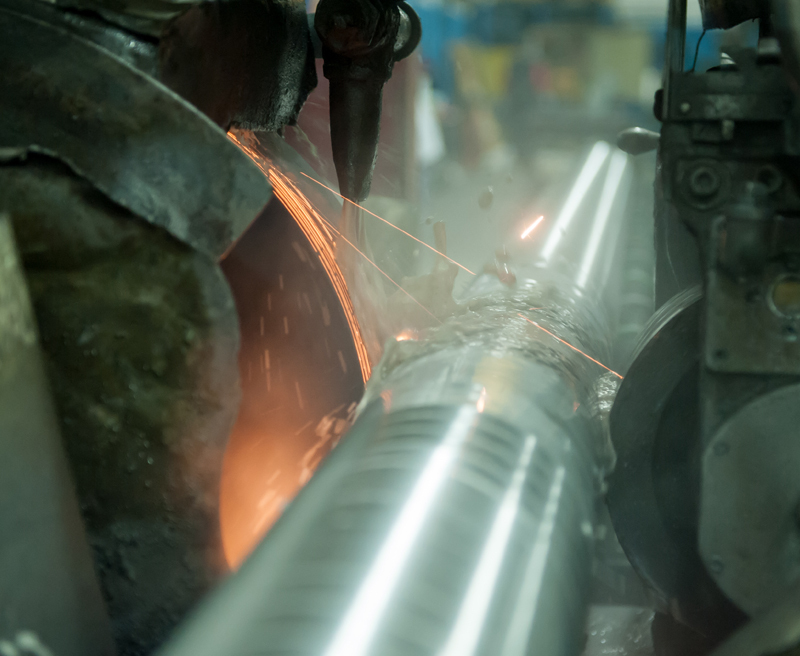 We specialize in long & short runs, straightening, chrome plating, polishing, and statistical process control. The contents of this webpage are Copyright © 2019 Sturdy Grinding. All Rights Reserved.